A refugee crisis was created when millions of Rohingya people fled to Bangladesh in search of safety. Osman and his family hid in a forest cave for two days before beginning their journey to Bangladesh. They then began walking. “We travelled like this for eight days, taking rest at night and walking during the day. Each night we were able to find a place to stay, even if it was just along the roadside. Kind people would provide us with food and water. We finally came to a river that acts as a border. We asked some boatmen there if they would ferry us across. They asked to be paid but we didn’t have anything to give them. We told the boatmen if they would just carry us across to safety we would find a way to repay the debt and they agreed. 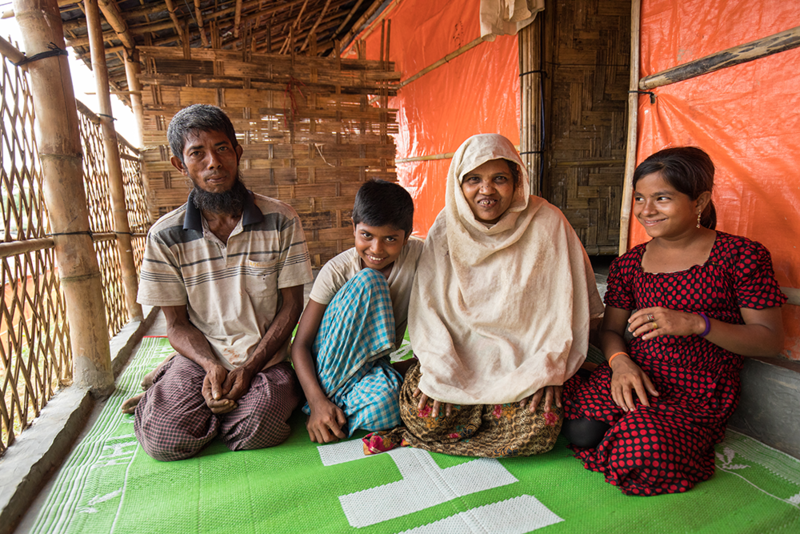 Osman and his family outside their home at a Rohingya refugee camp in Cox’s Bazaar, Bangladesh. Once we got across the river, the government of Bangladesh was very receptive and supportive, especially the Bangladesh army people. They provided us with food, shelter, everything we needed to survive. As time went on and it became clear that we would not be able to return to our homes, we realized that we needed a better, more permanent shelter. ADRA has been very helpful. Not only have they provided the materials for a very strong shelter, but they have provided a way for me to make a little cash to help provide with some of the essentials that are not being distributed in the camps by the NGOs. ADRA let us work to make bamboo bridges, drainage systems, earthen walkways, and steps up the hills. Then they would give us cash for the work we did. The shelters that ADRA has provided us also included a privacy partition, for which we are very grateful, so that the women and girls in our families can have their privacy. We are very happy that ADRA has provided a safe place for our children to go and play. 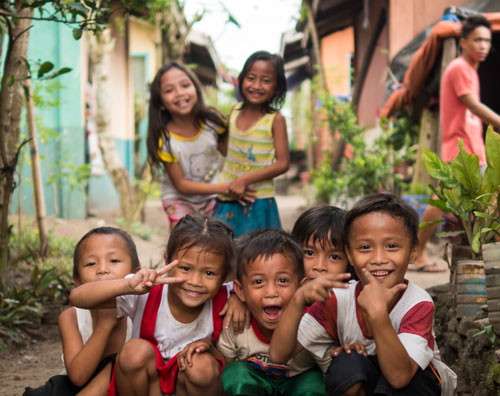 They attend the ADRA children’s program every day. They are learning songs and poems. They are learning lessons on health and hygiene. They play games. There are toys to play with and they give them snacks every day. We feel much safer here and in that life is more peaceful for us, even though we are refugees. Still we are haunted by the things that we have seen. Even today, whenever we see army people, even the friendly Bangladesh soldiers, it brings back all of the nightmare memories.